We're excited about being a part of this years EnFuego festival! Gates open at 12:00 and event begins at 2:00. Come enjoy a day of great music with Jeremy Camp, Fireflight, Hawk Nelson, Citizen Way, Tedashi, Haley Morgan Smith, and US! Also, speakers Scott Dawson and Travis Crim. Hope to connect with you there! We're so excited to finally have our single availible for purchase. If you haven't been able to download it yet, just follow the link below! We've got some great oppritunities coming up and praying for even more to come. We can't wait to get out more and share our music with anyone and everyone willing to listen. We're always working on new stuff, and looking forward to what God has in store for us. We're asking for your prayers in two areas. We're wanting to play more places than ever and we're praying for some incredible oppritunities to come our way. Also, we're fixing to start promoting our single to the radio world. We believe airplay is a crucial avenue to get our music and message out there. We need to make a great impression with the radio managers and dj's. We're so thankful for each and every person's encouragement, investment and prayers. Click the link below and download our newest single, "You Never Leave Us." We're so excited about our new single, "You Never Leave Us." It's been a great experience for us working with Nathan Watkins at Rhythm House Productions in Franklin, TN. He's done an incredible job producing/mixing/mastering the single and it's easily the best sounding project we've had. Thanks so much for you're support, prayers and encouragment. Hey everyone. It's been a while since the last post, but we just wanted to update you on some upcoming events we're going to be apart of. First off, thank you to everyone who voted for us in the online portion of Youthquake's Battle of the Bands. We are 1 of 10 bands that will perform in a live "battle" at Desperation Church in Cullman, August 17th starting at 5:00pm. The winner of the battle will get a slot to perform at Youthquake Oct 6th with bands like, Switchfoot, Family Force 5 and Disciple. Win or lose it's going to be a great night of music, so we hope to see you there! Also, August 20th we will be traveling to Nashville to play in front of Band With A Mission. BWAM helps bands get started and even turns some record labels in their direction. So we ask that you will join us in prayer as we step out there into these opportunities. Our prayers are simple...we're asking God to open the doors that need to be opened and shut the ones that need to be shut. So, we wanted to give you guys another sneak peak of some of our new stuff we've been working on. Below is a rough live recording of our song "Spirit's Lust," but you can get the feel for it. This song is simple lyrically, but to us has a powerful meaning. In a world that seems to be consumed with lustful desires for worldly/sinful things, we believe that our Spirits are lusting for the things of God. We are all looking for truth and desire God to show himself to us in a powerful way, we just have to let our "Spirit's Lust" overpower our "flesh filled lust". God of Creation... come breath into us! Hope you enjoy and thanks for your support! Hopefully this is exciting news for you...now you can download our first EP "Greater Is He" on NoiseTrade for FREE. The cool thing about NoiseTrade is that it's completely legal. We are freely giving our music in hopes to gain more listeners and fans. You can help us by posting it on Facebook and Twitter for your friends and followers to see. When your friends see it, we're hoping that they will also download and post it to all of their friends. We believe that through NoiseTrade we can reach a larger group of people with our music and ultimately that's what we want to do. Our main purpose is not to make money off of album sales, although it does help, but we want to lift the name of Jesus to as many people as possible. We're not just saying this to try and fit a mold, but this truly is our heart. We love to worship God and we want everyone possible to join in with us! Also, the great thing about NoiseTrade is you can leave us a tip. So, if you love the music and want to bless us or just contribute you can, and you get to choose the amount. So take a moment and download it, post it, tweet it, or email it and help us spread our music! It's been a while since we've posted an update so, here you go! This song is very powerful to me and not just because it's mine, but because we all need to be reminded that God will never leave us. We can get so caught up in our daily lives that when battles come our way, we forget what God promises in His word; He will never leave us or forsake us. No matter how difficult the situation looks in our eyes, God always has a plan. He is always there. He is always faithful. We just have to be willing to trust Him, not only in the good times, but through the bad times. Never let your dreams be buried by trials that the enemy throws at you. Never let God's promises get lost behind the battles. He will never leave us! Hey everyone! I've uploaded a new song to SoundCloud called "Thankful." The purpose of this song is to simple open our eyes to see how thankful we should be. We can get so caught up in our daily lives that we forget to give thanks to the one who gave us life in the first place. The song starts off as a prayer to say forgive me, cleanse me, and make me whole. Every time we say that prayer, God never ceases to answer it, no matter how far we are or what we've done. He is faithful to save us and to forgive us of our sins. The second verse is almost like our cry for purpose and his calling...take these hands, use them for you...use my mouth to speak Your words of hope and grace to everyone we can. God has a plan for all our lives and we have to be willing to be used by Him in any and every way, and for that, we should be thankful for His purpose. Hopefully this song will challenge us all to be Thankful for all the things God has blessed us with. Hey everyone, we just wanted to give you a quick update. We just recently made some band photos so everyone can actually see who we are. It was a pretty simple and affordable photoshoot, as we used some work lights on a couple of tripod stands and the handy iPhone camera. In the next couple of weeks we hope to get the chance to share our music at some of the local Christian radio stations, so pray with us that the right doors will open. Also, we're on the lookout for any opportunity to share our music or lead worship. So if you're reading this and need a worship band we'd be glad to play for you. Just email us at mattlittlejohn@mac.com. Thanks for all the support so far. We're believing for great things to come this year as we continue to pursue the calling and dreams that God has placed in us! Here's another acoustic track for you. This one is titled "God Most Holy." The basis of this song is to bring us back to the right perspective of who God is. God is the creator and we are His creation. We are the sinners and Jesus is our Savior. We were created so that our hearts would scream out His praises. The world can easily distract us from this purpose, so take a moment, listen and let our hearts scream out the name of Jesus! Hey everyone, I thought it would be interesting to begin uploading some songs to SoundCloud. It's just a cool way to share songs for free with everyone. It will be anything from acoustic versions, full versions or even a simple song idea. We have the privilege of having many songs in our band's library, the bad thing is we can't afford to have them professionally recorded...yet! We are just hungry to get our songs posted to every possible avenue we can. So be on the lookout for new songs to be uploaded soon...but for now you can enjoy this first post, "Spirit's Lust." 1964 Gibson HummingbirdWell it's 2012...in 2011 we were blessed to officially get things started for the Matt Littlejohn Band. 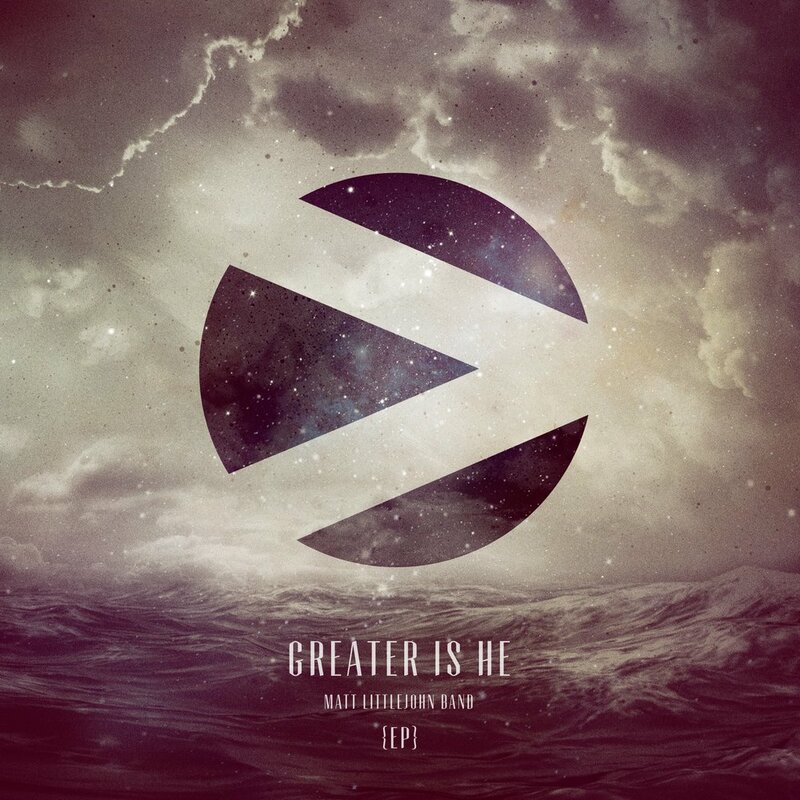 As you know or hopefully will if you continue to read, we released our first EP entitled "Greater Is He." God really challenged me at the beginning of 2011 to pursue my dream of music and worship by stepping out and actually recording and releasing it. God really blessed us throughout the whole process of making the EP. We are just wanting to share with you some things that we are praying and believing for in this upcoming year. You can join with us...First, we just want God to be lifted and glorified through our music. We love playing and leading worship, but our main desire is to honor Christ. Second, is to see the right doors opened for our music to reach as many people as possible. We want our music to lead people to know Christ for the first time and allow believers to experience a deeper relationship with Him. Thirdly, we just want to continue to create, write and offer spirit filled music to the heart of God. We want to constantly grow in our abilities and creativity because we serve a God who is worthy of our best! So thanks for your support so far and we look forward to what 2012 has in store for us. If you haven't got it yet, get the EP on iTunes HERE rate it and let us know what you think! We're really excited to announce to everyone that the EP has finally arrived on iTunes. It actually went up a couple of days ago, but I haven't been able to post about it here yet. We're so very excited and thankful for each person that has already pick up a copy and gave us some great feedback on it. We are pretty much out of the hard copies already, which is a good thing I guess. So if you haven't got your copy yet, we're asking everyone to download a copy of the EP on iTunes HERE. Also, it's great to hear your thoughts about the album, so if you could write a review and rate it for us. Thanks so much for your prayers and support. Our prayer is that this simple expression of our Worship to God will impact peoples lives in a positive way. The cool thing is we've already had a number of people testify that God has used it to plant seeds to their unsaved friends or family...this is our desire!!! Well, we're getting really close to having the finished product ready for everyone. We've just recently got the master copy of the EP back from Chris Bethea, and we couldn't be happier. We can't wait for everyone to be able to hear it also. If you haven't already, listen to two of the tracks from the EP on our site, just hit the tab labeled "The Music." We're pumped about the artwork for the EP also. I've seen some of Joe Cavazos's work on sites like CreationSwap and really just loved the things he's created. So as you see in the picture above, he was able to make us some pretty sick designs for the EP. We're excited to see the full project put together and hopefully you will be as excited as we are. More than a great sounding album or great looking artwork, we want this project to be fully surrounded by the annoiting and presence of God. Without that, all of this stuff is pointless. We desire that these are songs that will take people to a "New" or "Deeper" relationship with Christ. The title of the EP says it all...Greater Is He! Greater Is He that's within me, than he that's in this world. We as believers must share this with everyone. God is greater than the troubles of this life. We pray that thorugh this project people will be given Hope in a God who truly desires to give us LIFE! The babies...at Noiseblock Studios in Florence, Al. Hey everyone! We have a Facebook page, so we now can begin the journey as a band. Thanks to all who have already liked us, keep spreading the word. We do have some exciting news, you can listen to one of the tracks off our EP, "Holy Holy." Be a fan on Reverbnation or Like us on our Facebook page to hear the track. Things are getting close to the finish and we're getting pumped. It still looks like it won't be available until the next month or so, but we want everything to be perfect for the debut. Thanks again for your support. Take a listen to the track and let us know what you think. Keep us in your prayers. Hey everyone, just wanted to update you on how the EP is coming along. This past weekend we were able to finish laying down the vocal tracks. The vocals went incredible smooth, and thanks for all your prayers. Now that the tracking in complete we will sit back and wait for Chris to do his magic. Hopefully we all will be able to hear the new tunes in the next couple of weeks. Be on the lookout, at first, the EP should be available to download on iTunes with limited hard copies. We will try and keep you posted and put links to the tracks here. Thanks again for your support! Noiseblock Studios in Florence, AlWelcome to the Matt Littlejohn Band website. We have some very exciting news coming up, so take a moment and read about it. We are in the process of getting our first official EP out. 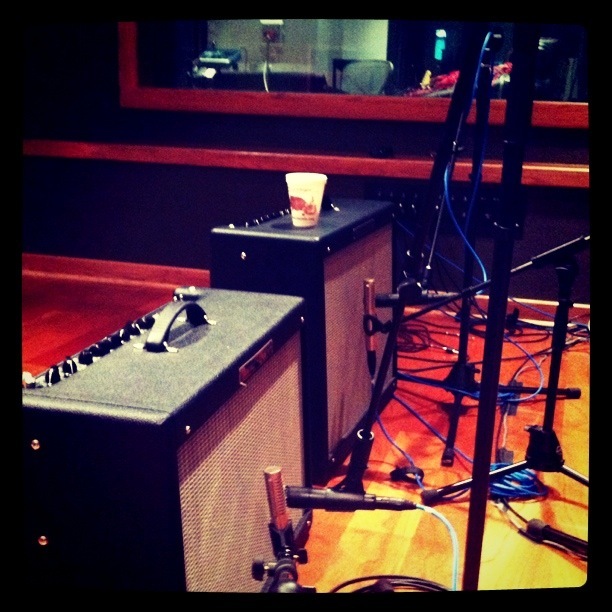 This will be an EP of 5 original songs and it's being recorded by Chris Bethea at Noiseblock Studios in Florence, Al. God has given us all a great passion for Worship and our dream and desire is to see God glorified through everything we do. We pray that through these songs of Worship, our relationship with God will be taken to a deeper level. Over the past couple of years we have had the privilege of sharing these songs in our Church, youth camps, and other events and we feel like now is the time to make some of these songs available to everyone. I hope you will keep up to date with everything going on and more importantly keep us in your prayers!